John Marsh is a husband, father of two boys and a visionary entrepreneur, who has been instrumental in rebuilding the historic downtown of Opelika, Alabama. Over the last 25 years, he has been involved in over 30 startup businesses in various industries, including construction, real estate investing, advertising, and hospitality. Today, John’s focus is on helping others make generational differences in their communities by helping patrons bridge the gap between redeeming vision and execution. Ashely is a wife and mom, married to John…you get the picture. She found herself walking on the streets of downtown Opelika in 1994, desperately longing to see life brought back to the community she loved and grew up in. Along with John, and now the team at Marsh Collective, she has pioneered the redemption of Opelika, and place making in cities across the country. Ashely runs the real estate management, The Southerly event venue and community, hospitality business, and works with the team to foster a generational difference in communities and places. Curator of all things beautiful. People, places and spaces. Brad Baggett is a husband, father, and entrepreneur with passions for business and real estate. Brad graduated from Auburn University with a degree in Engineering. He has worked in manufacturing with various companies such as Michelin North America and Milliken and Company. Along with his time spent in manufacturing, Brad has also been building his own companies for the last 15 years. Brad has extensive experience in manufacturing, business development, and entrepreneurship. His passion for business offered him the opportunity to direct the Michelin Developments project in East Alabama. To offset the impact of Michelin’s factory closing in Opelika, the project directed a $2 million fund to create jobs through financial backing and assistance to small and medium-sized businesses. A focus on mentoring and creating value inspires Brad to pioneer new ways of connecting the virtual and actual worlds through relationships, meaningful work, and technology. From the perspective of making a generational impact, Brad is committed to creating lasting change within his community and helping others do the same. 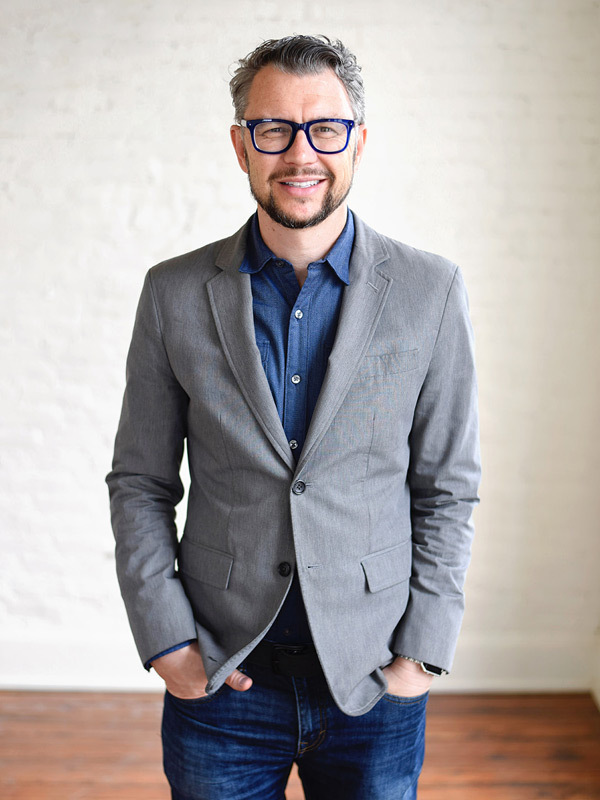 Ty Maloney is a husband, father of two and a principal at Marsh Collective, an organization focused on placemaking, community planning, business consulting, real estate development and property management. Before joining the collective, Ty graduated from Auburn University’s school of Building Science and later earned a Masters in Integrated Design and Construction. Ty seeks to apply his experience and gifts to the flourishing of people and places by collaborating with patrons on the visioning and execution of sustainable revitalization plans for their communities. Shaunna West is a mom of two, and creator of the lifestyle brand & blog, Perfectly Imperfect. She is also the author of the book The $50 Home Makeover (published by Adams Media in 2014) & had the honor of working with Leftfield Pictures (New York) to create the pilot, Sweet House Alabama, for HGTV. Her home, design work, and blog have been featured on HGTV, The Nate Berkus Show, and in The Wall Street Journal, Country Living Magazine, Cottages & Bungalows, Redbook, Romantic Homes, and Woman’s Day. Shaunna joined the Collective in 2016 after opening a retail location in downtown Opelika, where she resonated deeply with the work being done in the community. She believes in meaningful work that truly makes a difference in the lives of those around it, in celebrating beauty in broken people and situations, and telling impactful story through marketing and branding of the work being done in Opelika, for clients, and communities across the country. Lover of: Under-appreciated music, & weird humans…see above.